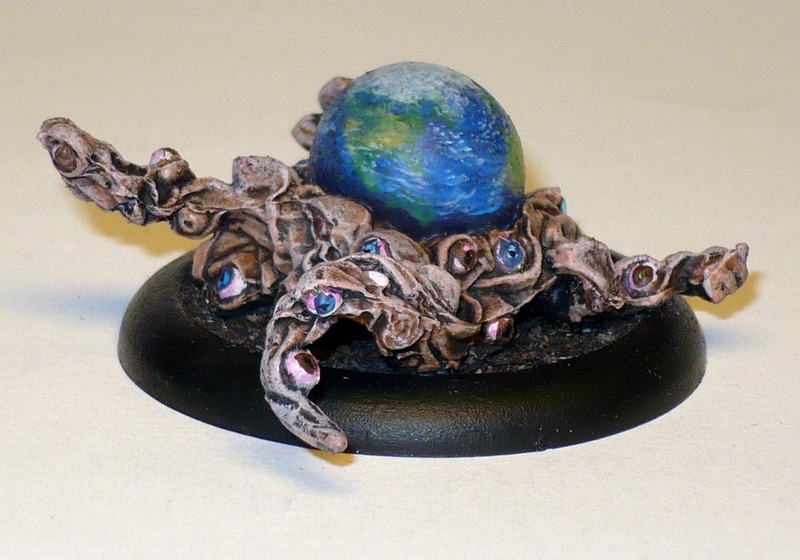 For some obscure reason the model “77115 Shoggoth” by Reaper features a big globe in it’s middle, as if it is on it’s back. It’s as if the sculptor started with a marble and tacked on some tenatcles with eyes. 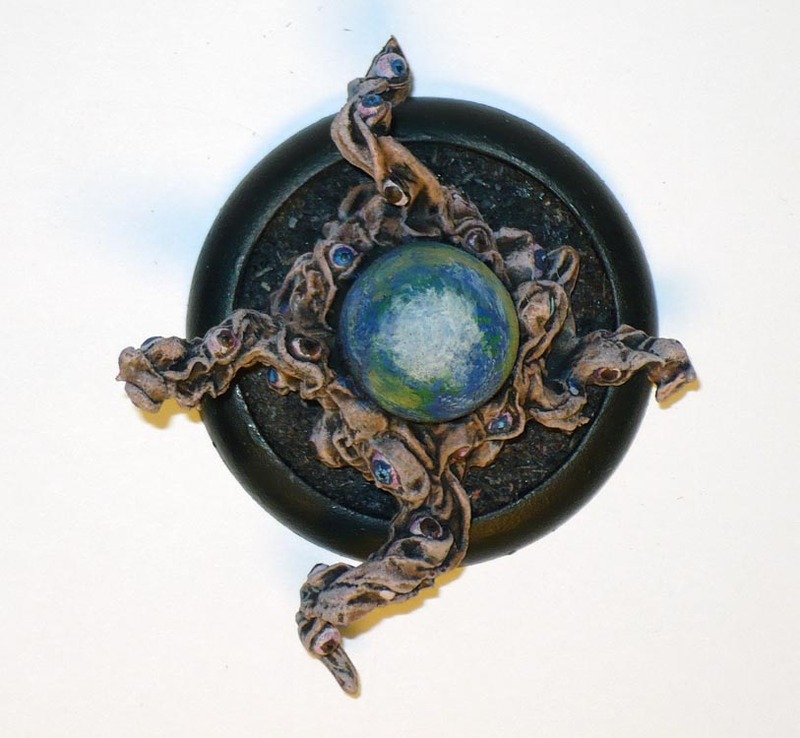 Don’t get me wrong, it is a nice, Lovecraftian model, but i find the marble a bit jarring. It is too large, to perfectly spherical. It simply does not seem to be a part of the creature, and I certainly do not think of Shoggoths when I see it. (if there had been several such globes of varying size held together with amorphous ectoplasm, well, YES! But just one is strange. 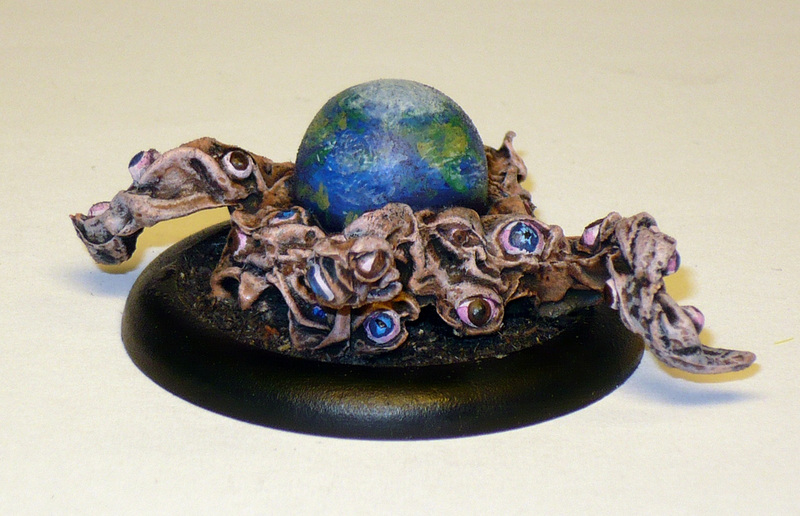 I see most people paint them as large central eyes. The scale is roughly 1 274 200 000 : 1. or thereabouts. Awesome idea (and execution)! This is one of the (few) figures I didn’t pick up from Bones I, but your take on it really has me considering picking up a few to try different effects on the orb! NextMessing about with statues, and whatever you do, don’t blink!